Sometimes we all need a little help. Especially when it comes to ballet terms, which are hard to grasp and often confusing! As a passionate dancer, I know you want to understand these terms and improve your dancing. 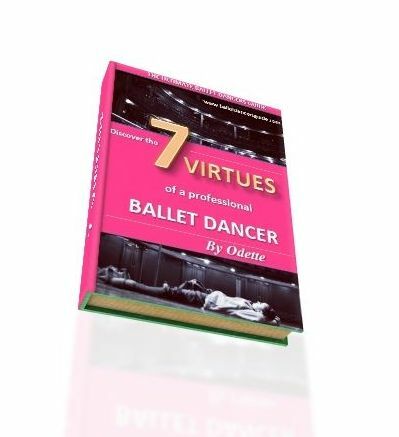 If you take it step by and step, you can get to grips with the ballet terms and know them all from A to Z! Take your time to go through each section of my ballet dictionary and soon you will be dancing with the STARS! Manèges (ma-NEZH) Circular This is when a dancer performs the steps in a circle and usually known as a virtuoso movement. For example, grand jetes or pique turns on pointe travelling around the room. A character dance which is in a 3/4 rhythm to the music. 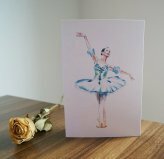 In the classical ballet, Sleeping Beauty, the Mazurka dance at the very end of the performance where all the dancers come together on stage to perform this joyous, upbeat dance. Mime Every classical ballet will use mime as well as dance, it is when the face is used for dramatic expression and it helps portray the story and characters. Notation Just like music notes are scored down in an orchestra, it also happens with the dance movement. Benesh notation is a well known method that many young dancers study at a vocational school as part of the curriculum. Ouvert, ouverte (oo-VEHRT) Open, opened. This term can be applied to the alignment and position of your body, as well as the arm and leg direction. Pas (pah) Step. A simple step or movement with a transfer of weight. For example, pas de bourrée. In the ballet dictionary "Pas" also refers to a dance performed by a duet. For example, pas de deux. Pas de bourrée (pah duh boo-RAY) Bourrée step. Pas de bourrée couru (pah duh boo-RAY koo-REW) Running step. A series of small, running steps and the feet have to keep as close as possible. 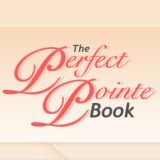 Usually the step is traveled forwards and can be done on pointe or demi-pointe. Pas de chat (pah duh shah) Cat's step. It is like cat's leap in which the movement jumps into the air with both feet coming quickly underneath you to land back on two feet again. Grand Pas de deux (grahn pah duh duh) Grand dance for two. Every classical ballet will consist of a grand pas de deux from the principal couple. It is romantic, impressive and quite spectacular. 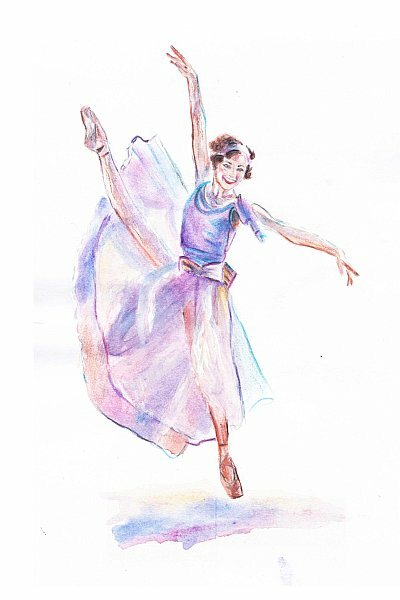 It has always definite structure and most commonly starts with a gentle adage, then a variation for both the male dancer and the ballerina, then a final coda which is a grand finish to the dance. Dance for four. Swan Lake has a pas de quatre with two males and two females. They perform together and in solos to make an impressive dance. A dance for three. 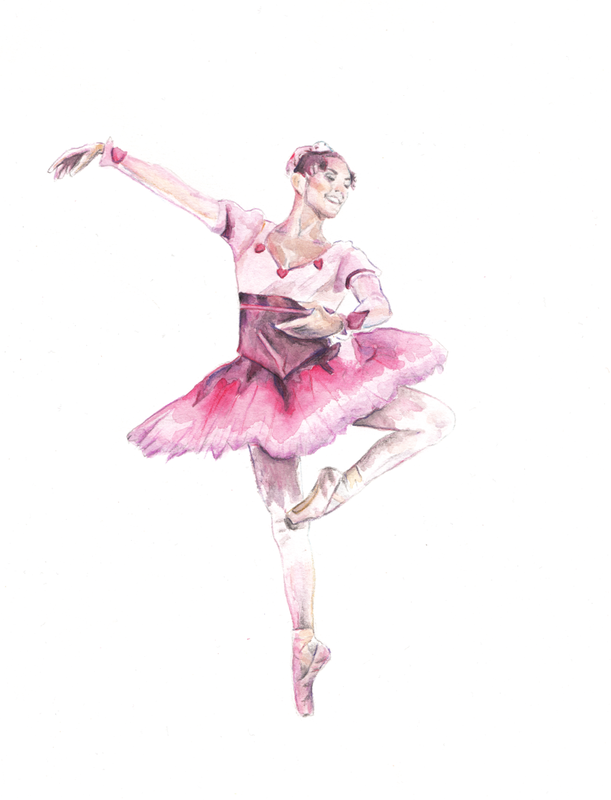 The ballet Paquita has a pas de trois of two females and one male. Pas de valse (pah duh valss) Waltz step It is a fluid and flowing step, similar to a balancé. Pas marché (pah mar-SHAY) Marching step. Penché, penchée (pahn-SHAY) Leaning, inclining. This position is mostly known as an arabesque penché which shows great flexibility for a dancer when they extend the leg beyond an arabesque and split the legs whilst remaining on balance. Petit, petite (puh-TEET) Little, small. Piqué (pee-KAY) Pricked, pricking. There are many variations such as jete piqué or arabesque piqué, the general quality of this movement is sharp and energized. Pirouette (peer-row-RET) Whirl or spin. A test of balance as the dancer turns on one leg on demi-pointe and the head keeps spotting as you turn. The other leg is raised to a retire and the body is contained in a strong effort to control the turn. (grahrul peer-row-ET a lah suh-GAWND) The same theory as a pirouette, but the leg is to the side at 90 degrees. It is usually a male dancer's virtuoso trick, but females also do it on pointe too. Pirouette piquée (peer-row-ET pee-KAY) Pricked pirouette. Plié (plee-AY) Bent, bending. The key position in ballet that controls all movements, steps and jumps. A dancer always starts a ballet class with pliés at the barre in all five positions of the feet. There is a Demi-plié, which is what we need for all movements, and a grand plié which is to the very depth of your plié. 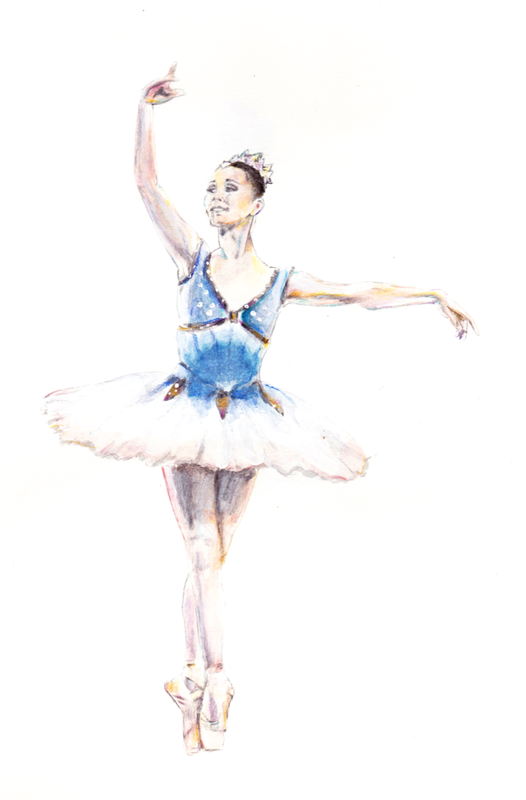 In any plié, the dancer aims to have both feet turned out and all muscles engaged to have the ultimate power from the legs. Sur les Pointes (sewr lay pwent)On the pointes. 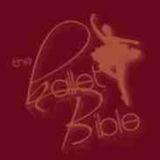 The term for when a dancer is stood on pointe, either by a rise or releve. Pointe shoes The satin shoes allow a ballerina to dance on the tips of her toes in every ballet performance. The shoes are hand made by different manufacturers and give a ballerina the support she needs in every way. The box of the shoe is a solid, hard material and the shank is strengthened to each dancer's different needs. The ribbons and elastic are sewn individually by each dancer to give further support to the ankles and make sure the shoe stays securely on the foot. Polonaise Like a mazurka dance, it is in 3/4 time in which the dancers take two steps forward on demi-pointe and one more step on flat with the supporting knee bent. It can continue in a series of steps and travel to move across the stage. Port de bras (pawr duh brah) Carriage of the arms. The movement in which your arms take to pass through each position. In a typical ballet class, the dancers would have a set port de bras exercise designed specifically to work on the back and arm muscles. Porté, portée (pawr-TAY) Carried A step which is traveled in the air from one place to another, e.g. Assemblé dessus porté. Promenade (prawm-NAD) Turn in a walk. The turn can be done held in a position, such as an arabesque, and it is usually in an adagio exercise so the control is in the supporting leg to turn you around.